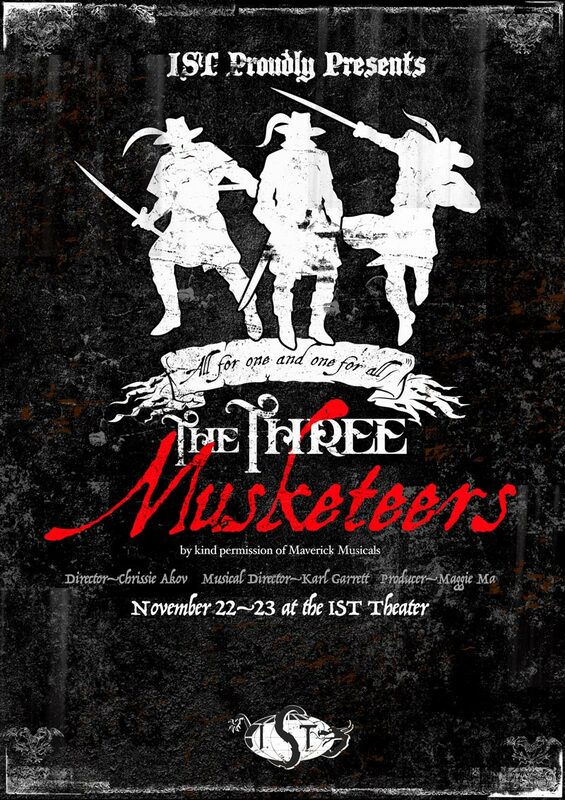 International School of Tianjin (IST) welcomes you to their musical production “The Three Musketeers” on the evenings of Nov 22 and 23 at 7 pm. As always, it promises to be a spectacle of drama, music and entertainment – in short, captivating theater! Tickets now on sale and running out fast! Get yours now! Tickets are on sale at IST front desk. Please call 2859-2001/3/5 to reserve your tickets. Hear ye, hear ye! His Royal Majesty King Louis XIII doth command ye to a right rollicking, royal romp. This swashbuckling hilarious musical is based on Dumas’ classic tale of intrigue and adventure but you’ve never seen Porthos, Athos, Aramis and D’Artagnan quite like this. Black Adder meets Monty Python! This show is high on energy and colour and highly stylised – a Baroque’n’Roll spectacular. You will be entertained by the cooler than cool troupe of Hip-hop, jive talking Cardinals guards, serenaded by the nuns choir, dazzled by the sword-fighting of Lady De Winter, (a baddie if ever there was one) not to mention the evil Captain Mazarin! Combine all this with some very familiar music and this will be a Royal Command Performance like none other.